The digital age brings with it great tools to collaborate and to ensure we have all manner of information at our fingertips 24/7. But with these benefits come significant additional distractions. How do you keep focussed? I really enjoyed this 5 minute TEDtalk as a quick reminder of the need to maintain a single-minded focus on the most important goals. How might focus help you succeed? 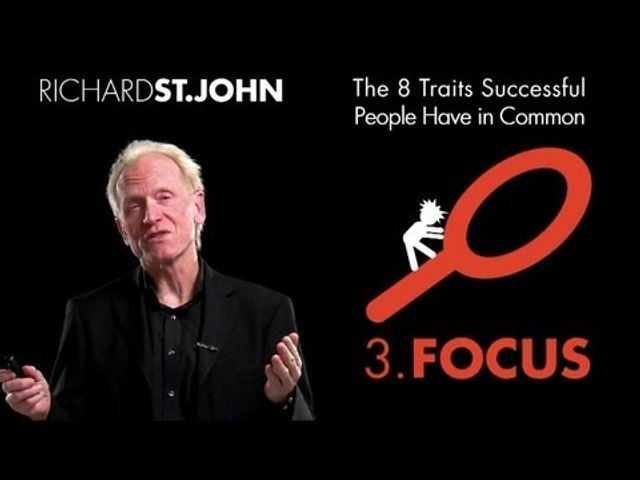 Using examples of famous people from disparate fields, such as James Cameron, Quincy Jones, and Larry Page, Richard St. John suggests why focus is one of eight traits common in successful people.